The Ottoman Empire has its own distinctive architecture. It stemmed from its own mix of culture and tradition, which cantered on its literature, music and art. Its architecture comes from a mix of Iranian and Byzantine architecture, as well as from its Islamic Mamluk traditions. Their balance of outer and inner space was quite modern for its era and their building techniques were more advanced than many other civilizations in the world. The huge domes and masses of inner space were difficult to construct when you consider the crude methods used in the era. Their building materials consisted of plaster, tiles, stained glass, clear glass, baked bricks and wood. The more luxurious buildings also used limestone and marble as standard. They invested a lot of time and money into building grand structures such as large mosques, mausoleums, palaces and hammams. Mimar Sinan was an imperial architect of three Ottoman sultans. His talent was for building variation into the domes he created, for acoustic design and striving for masses of open space in the buildings. Mimar Sinan was the imperial architect for fifty years and was responsible for the construction of 447 structures, which included the Selimiye Mosque that was in Edirne, the Bath of Roxelana and the Suleiman Mosque that was in Istanbul. Mimar Sinan did not just focus on structures that earned him prestige. He was also the chief architect behind bath houses, mosques, public kitchens, hospitals, colleges, as well as many palaces. He created his mosque in Istanbul with 400 smaller domes that surrounded the larger dome in order to create a pyramid effect. It also has fifty six meters tall minarets. 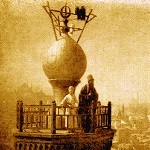 He created four minarets that he positioned at the side of the mosque courtyard. The mosque is celebrated for its simple design whilst maintaining such a complex structure design.